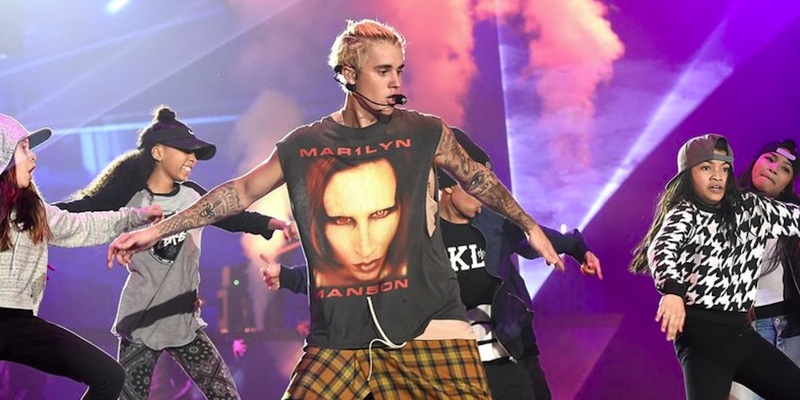 Last year, Justin Bieber and the designer Fear of God released a new shirt. 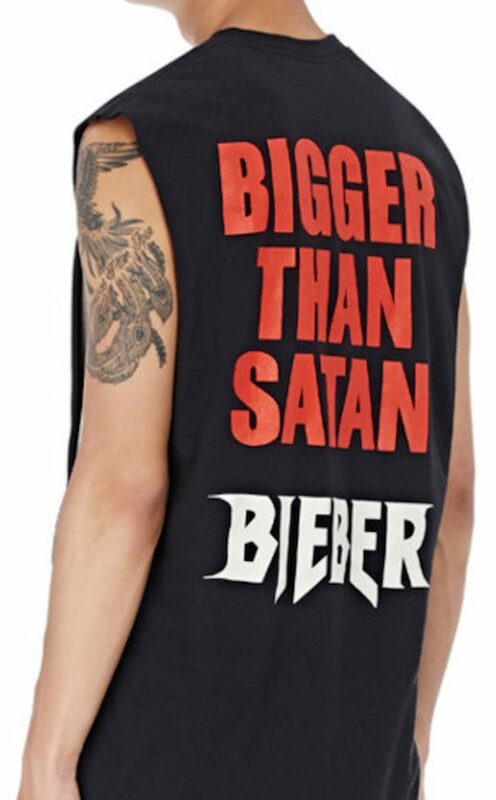 It sold at Barneys for $195, though you would be forgiven for not realizing it was a Bieber shirt at first glance. 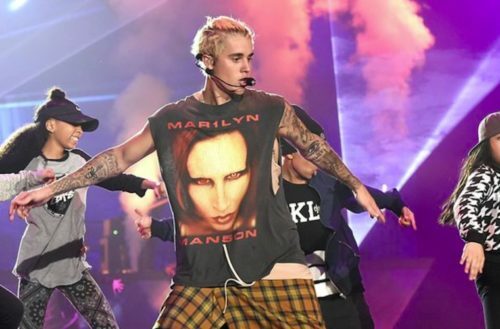 This Justin Bieber Marilyn Manson tee repurposed an existing shirt design from the ’90s shock-rocker. The original non-Bieber’d version of the shirt is still available. Amazon is currently selling it from $8-$16. 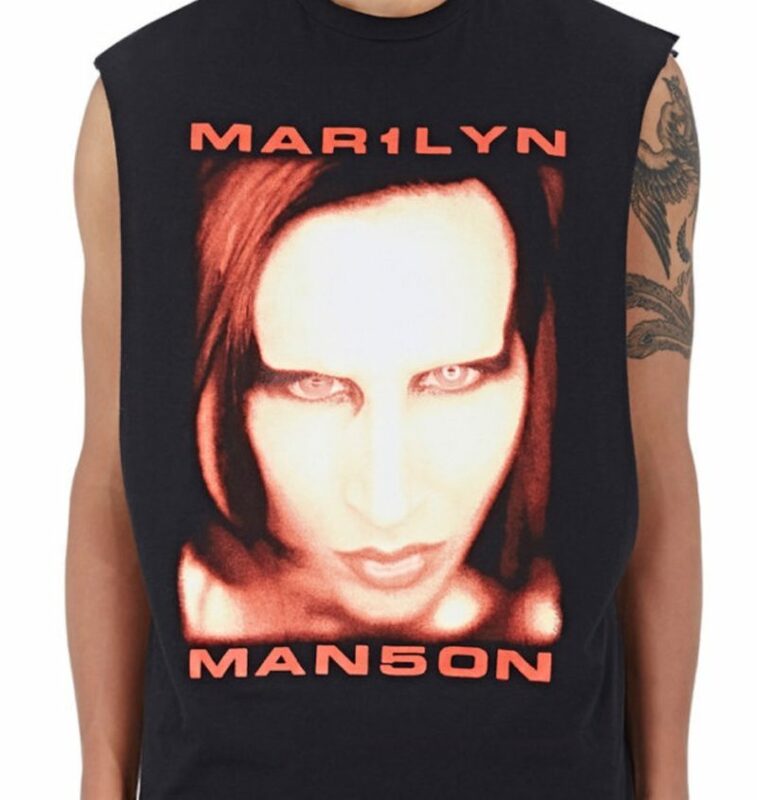 Fear of God claimed Manson gave permission to use the original shirt. But as it turns out, that’s not entirely true. In a new interview with Consequence of Sound, Manson clarifies the situation. Marilyn Manson’s newest album, Heaven Upside Down, comes out Oct. 6. Justin Bieber has not set a release date for his upcoming album. Rumors it will be titled Heaven Upside Down Bieber are unfounded.